HDR processed photos keeping their natural look as far as possible. Most of the photos shown in this gallery are built up of five photos of the same place but with different exposures and are then combined in post-processing into one single photo keeping the look of the final photo as natural as possible. The photos of this gallery have been moved to their respective country-galleries. New natural HDR photos will only be added to the respective country galleries. 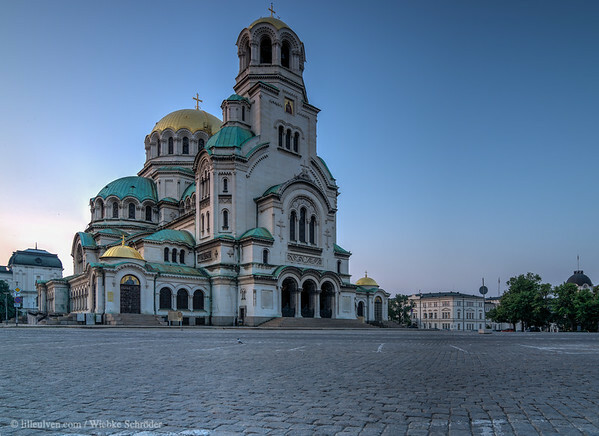 , Sofia, Sofia City Province, Bulgaria The Alexander Nevsky Cathedral was built to commemorate the 200.000 soldiers who gave their lives in the battles of the Russo-Turkish war of 1877-1878, which lead to the liberation of Bulgaria from the 500year long Ottoman occupation. The building got its name from Lord Alexander Nevsky, a Russian Tsar, who in the 13s century defeated the Swedes at the River Neva and the Germans two years later in the famous "massacre on the ice." uuid="336D74CE-5316-45FB-89E8-859758270B3D" id="Bulgaria lilleulven.com _K3_1655_HDR-Bearbeitet.tif Bulgaria lilleulven.com"